Khris Davis hit a 3 run homer to bring the A’s to within one and then launched a dramatic 2 out, 2 run top of the 9th come from behind go ahead homer to sink the Rangers, 6-5. Adam Duvall reached base 3 times, including a solo homer, to help the Reds win over the Cardinals, 7-3. Trevor Bauer tossed 7 shutout innings, allowing 2 hits and striking out 10 as the Indians blanked the Pirates, 4-0. Tanner Roark struck out 11 Brewers over 8 scoreless innings, earning the 7-3 decision for Washington. Jacob deGrom struck out 13 Diamondbacks over 7 strong innings as the Mets came away with the 3-1 victory. Charlie Morton threw 7 innings, allowing 4 hits and struck out 8 Indians and earned the 4-1 decision for Houston. Jose Martinez got 4 hits, including a homer, driving in 5 runs to lead the Cardinals 12-4 pounding of Philadelphia. 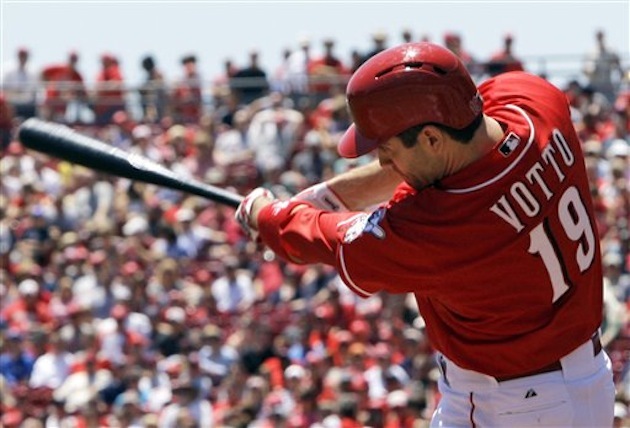 Wilson Ramos homered twice and singled, driving in 3, as the Rays beat the Angels, 8-3. Trevor Story reached base 4 times, including 2 homers and drove in all the runs in the 4-0 Rockies blanking of Milwaukee. Francisco Lindor homered twice and doubled twice to give the Indians a much needed 6-2 win over Kansas City. Stephen Strasburg pitched into the 7th, finishing with 1 run and 1 walk over 6 2/3 innings, striking out 9 Diamondbacks and getting the 2-1 victory for the Nationals. 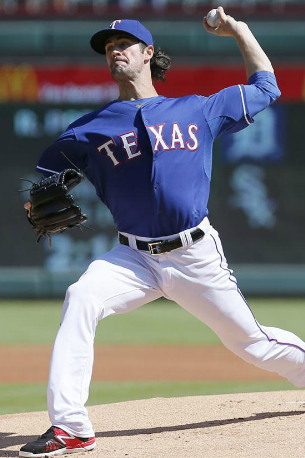 Charlie Morton struck out 14 Rangers over 7 innings, allowing 4 hits and 1 run to earn the 6-1 decision for the Astros. Xander Bogaerts got 3 hits, including a go ahead grand slam, to power Boston past Kansas City, 10-6. Charlie Morton took a no hitter into the 6th and a shutout into the 8th, finishing with 7 2/3 innings, 2 hits and 1 run while striking out 10 Yankees as the Astros won the first game of the ALCS rematch, 2-1. A. J. Pollock homered three times to help the Diamondbacks beat the stumbling Dodgers, 8-5. Zack Greinke struck out 10 Dodgers over 6 innings, allowing 2 runs and added a single, double and RBI of his own to earn the 8-5 decision for Arizona. Charlie Morton saw the Astros raise their World Series flag and responded with 6 innings of shutout ball, striking out 6 Orioles and earning the 6-1 decision. Tyler Mahle allowed 1 hit over 6 shutout innings, fanning 7 Cubs, winning the 1-0 shutout for Cincinnati. Hanley Ramirez singled and homered, scoring twice and driving in a pair to help the Red Sox past his old team, the Marlins, 7-3. Bryce Harper reached base 5 times, homering, driving in 3 and scoring 3 as the undefeated Nationals rolled to an 8-1 crushing of the Braves. It may seem strange, seeing Clayton Kershaw on this list. But as it turned out, despite his disastrous Game 5, Clayton Kershaw was tied with the highest WOWS total for a pitcher in the 2017 World Series. Sure George Springer makes sense. He hit 5 homers and took the World Series MVP trophy. Yeah Charlie Morton makes sense. 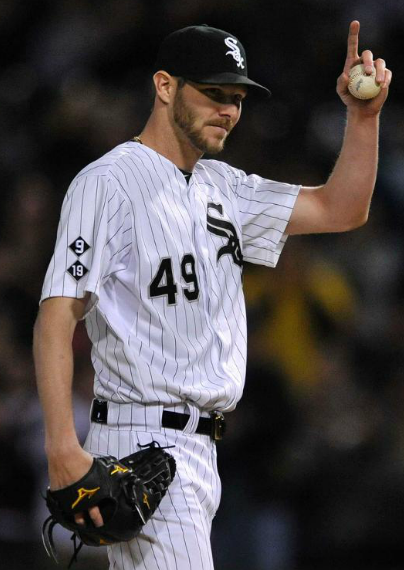 He was dominant as a starter in Game 4 and pitched 4 brilliant innings out of the bullpen to clinch Game 7. And Justin Verlander pitched well enough to win both Games 2 and 6. But Morton’s WOWs total was 1 1/2 because of the bullpen meltdown in Game 4. And Verlander took the hard luck loss in Game 6, which also made his WOWs total 1 1/2. And Kershaw was brilliant in Game 1 and pitched 4 shutout innings in relief in Game 7, earning him a 1 1/2 total. So while Kershaw continues to lick his wounds and listen to how he is a post season failure, in at least one metric, he was a solid contributor. This October, Kershaw was 3-0 with a 3.82 ERA. That includes the homers he let up in his victory over the Diamondbacks and his 4th and 5th inning meltdowns in Game 5 of the World Series. Remember he threw 7 innings, allowing 3 hits, 1 run, no walks and 11 strikeouts in Game 1, seemingly putting his post season woes to rest. They will stick around another year, but maybe he had a better October than his Game 5 would let on. Let’s look at the final tally. Game 7 of the World Series was kind of a dud but it didn’t mean it wasn’t a great October. I watched the end of the game with my sons and gave my thoughts as we said good bye to another year. The offseason begins on this Episode of Sully Baseball. The Astros are the World Champions… that’s a sentence I think a lot of Houston fans thought they would never be able to say. Charlie Morton became the unlikely hero to throw the final pitch of the World Series. But he was no “One batter and done” like Mike Montgomery’s surprise save for the Cubs in last year’s World Series. He went long to earn the title. Charlie Morton came out of the bullpen to throw 4 solid innings, striking out 4 Dodgers, allowing 2 hits and 1 run. 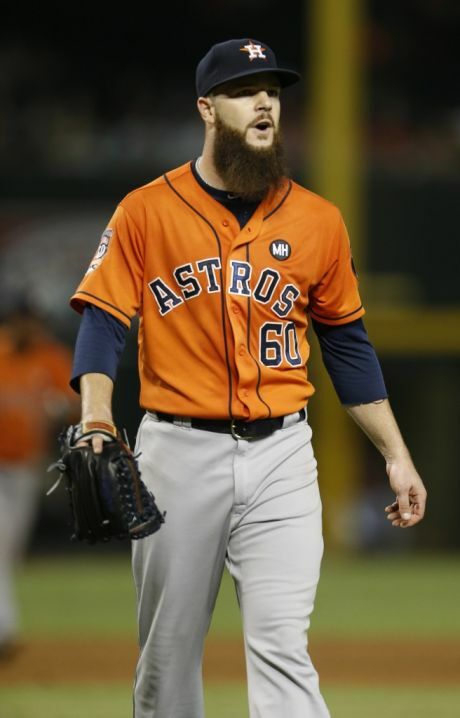 He threw the pitch that ended the 5-1 game for the Astros that clinched the World Series. George Springer led off the game with a double and scored. He would add his record tying 5th homer of the World Series to seal his MVP as the Astros topped the Dodgers 5-1 to win it all. 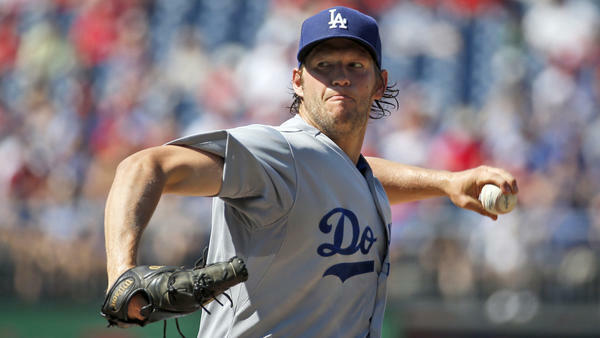 Clayton Kershaw threw 4 dominant shutout innings, allowing 2 hits while striking out 4 Astros. The Dodgers would fall 5-1. Joc Pederson singled and scored the only Dodger run as they fell to the Astros, 5-1. Toughest WOO call I’ve had in a long time was between Charlie Morton’s 5 inning start and Lance McCullers Jr’s 4 inning save. I went with Morton but nothing bust respect for McCullers and clinching the pennant. Jose Altuve reached base twice, homered and made several dazzling plays on the field to lead the Astros to a 4-0 pennant clinching victory over the Yankees. Charlie Morton set the tone for the Astros with 5 shutout innings, striking out 5 Yankees along the way, earning the 4-0 decision. Greg Bird smacked a double, the Yankees last extra base hit of the season, but was thrown out at home trying to score the tying run. He would also fly out to end the ALCS and clinch the pennant for the Astros, 4-0. David Robertson threw 2 shutout innings, striking out 3 Astros but the Yankees bats were dormant in the 4-0 ALCS finale. Matt Holliday reached base 4 times, scored 3 runs and capped off an improbable Yankee comeback with a 10th inning 3 run walk off homer to stun the Orioles, 14-11. Travis d’Arnaud hit a pair of homers and drove in 5 runs as the Mets held off Washington, 7-5. Charlie Morton overcame early trouble to throw 7 innings, allowing 3 runs, striking out 12 Oakland batters and getting the 9-4 victory for Houston. Jacob deGrom struck out 12 Nationals batters in 7 innings, allowing just 3 runs and earned the 7-5 decision for the Mets. Bryce Harper has finally come of age as a budding superstar in the league with 42 HRs in the 2015 season – which tied him for the NL Lead. He may be capable of launching up a 50 HR season in his career really soon, and has 8 HRs and 22 RBI though the Nats first 16 Games Played so far. 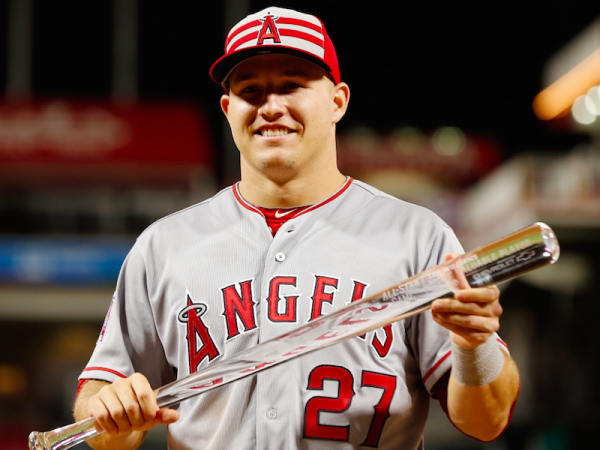 He is averaging 14.6 PPG on FanDuel, and will be a part of any roster I fill out as the main player, unless an awesome Lefty is opposed to him like Kershaw or Bumgarner. Using a guy like Michael Taylor to offset the $ is always a good move, or another lateral player that hits 1 – 4 in any lineup and is in the $2500 – $2900 range. I will open up by saying that most good fantasy players will play several lineup entries into the contests. To save face, all of us also will put at least one roster up that takes Coors Field into consideration. This website knows all to well what the home ballpark in Colorado does for the hitter. How about hitting .315 as a BA for positional hitters for the Rockies 0 even in the ‘humidor era’? All the exposing the balls to that room has done is take away the sick amount of homers that were hit. The spacious outfield is still prone to lots of base knocks. The reason why I won’t post that lineup is because it won’t help you win any money. The more players that are wagered on (and not unique) makes it unlikely to win any serious money. You must factor it in to just break even though. On Saturday, I am loving using Michael Wacha versus San Diego. Maybe he will have better success against the Padres than his fellow chucker Adam Wainwright had. With savings to the lineup placed forth by putting in a Danny Espinosa, and creative other value priced Nats in Michael Taylor, we are able to secure Bryce Harper. I love adding Taylor to offset Harper’s $5900 price tag. 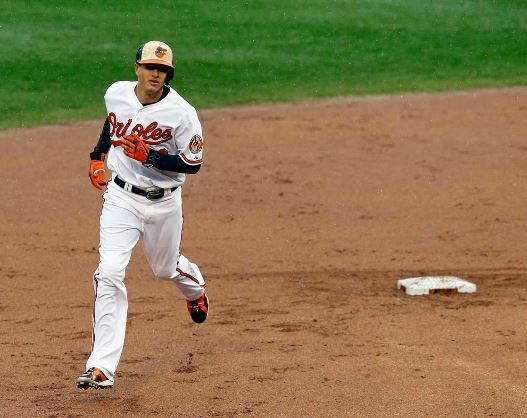 With him leading off a lot, it provides decent chances to at least provide value. 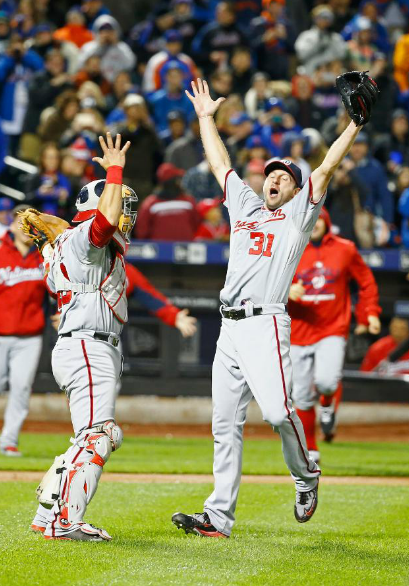 The Nationals were 36 – 25 in the games that Denard Span appeared in for the 2015 year. He is going to help the Giants offense as a legitimate leadoff man in 2016 and can play all 3 positions in the Outfield. They have 3 decent starting players beyond the grass, and should be able to fill all 162 games with Belt and Blanco also being on the depth chart out there. I absolutely love the Giants Free Agent Signing of Denard Span. This is a club that has extreme depth in all 3 OF positions now, and Span has worked the role of a Leadoff man brilliantly in the last several years. Yes between he, Hunter Pence and Angel Pagan they have spent time on the sick bay over the last few years, but when you add that Brandon Belt could play LF, or Gregor Blanco who filled in admirably well in 2015, than you see that the roster just became stronger. It is for these reasons alone I have finally taken the +900 odd off as one of my worst picks on the betsheet. This signing definitely tips the scales back in San Frans favor over the Dodgers. The 1 – 8 lineup looks nice with Span, Joe Panik, Buster Posey, Hunter Pence, Brandon Belt, Matt Duffy, Brandon Crawford and Angel Pagan all capable MLB Starter. I could see this squad leading the Batting Average in the Majors in the coming year. The Cubs signed Jason Heyward over the last week – and may have dealt a massive blow to the rest of the National League that could be felt for several years. 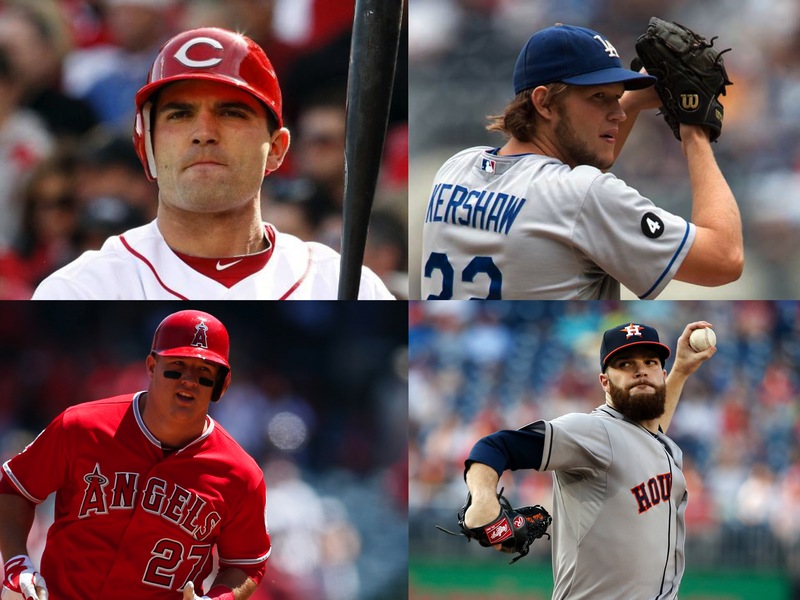 Despite the signing, the odds for Chicago, St. Louis and Los Angeles Dodgers did not change. This is not what is supposed to happen when a player like Heyward signs. The +800 odd is bang on though. I would not put any money down for the value, however they would be my pick to win the World Series if I picked any one team right now for next year’s Fall Classic. The ripple effect of the Johnny Cueto‘s signing did not hit the odds very much for the Giants. San Fran went from +1800 to only +1600 in one week. The Dodgers also did not lose any ground – standing firm at +1200?? This is crazy. I am not saying the Dodgers value at +1200 isn’t actually right. What I am saying is that the 2010, 2012 and 2014 World Series Champs should be right there with them. At least at +1300 – or even more favored than the 2nd place Arizona Diamondbacks. San Francisco has the best Starting Pitching and Bullpen in the Division. This team also has a comparable lineup 1 – 8 with both the 2 clubs in Arizona and Los Angeles.